Emily and Brian are two of the loveliest people I have had the opportunity to work with in my 10 years as a wedding photographer. They are funny and kind, down to earth, and head over heels for each other. Every moment I have spent with them, from my first meeting with Emily, to the last hug at the end of their wedding has been an absolute pleasure. Our downtown Pensacola studio is just about my favorite place to shoot, so I was thrilled when they added a classic session to their collection! 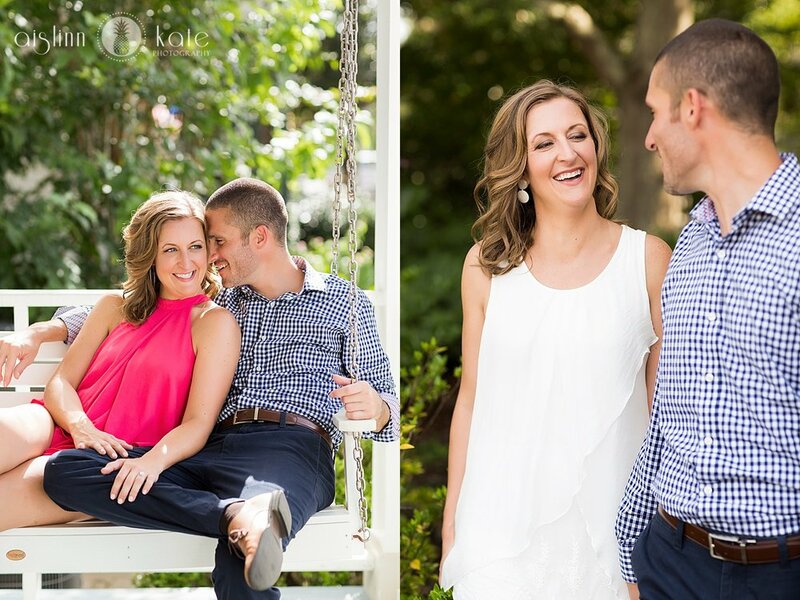 We had so much fun at their summer engagement session and I LOVED the way their photos turned out!! Check out their wedding HERE! !